The Committee were also grateful for the donation of 272 pints of Bovril jelly and soup; 148 dinners from joints, poultry, game and fish; 75 puddings and jellies; Benger’s Food; small bottles of Bovril; eggs and milk. The Ladies’ Committee of the Bedfordshire Hospital Guild have also supplied special diets to the patients under the nurses’ care. In approving the annual report, the Rev W. H Davis pointed out that the men on the Committee did very little, since the ladies were carrying out the work very ably. A Mrs Alfred Paine was praised in particular for her enthusiasm and energies. An appeal was made for more donations from the public, bearing in mind population increases in the districts of Queen’s Park and South Bedford. As a result of the war, it was getting more difficult to secure provisions for poorer people. Total expenditure for nurses’ salaries, uniforms and board for the year was over £354, not including other expense for fuel, printing, insurance, equipment etc. Amongst the nurses’ patients are the mothers, wives and children of soldiers and sailors. 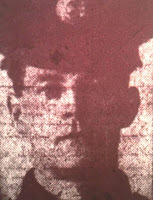 Monday 26th February 1917: The funeral took place today of 22 year old Private Ernest Wright, of Buxton Road, Luton. Private Wright had presented himself for medical examination at Luton under the Derby Scheme and was rejected due to years of asthma having affected his heart. In September last year he was again examined, this time at Bedford, and to the surprise of his family and friends he was catalogued B1, fit for garrison duty abroad. 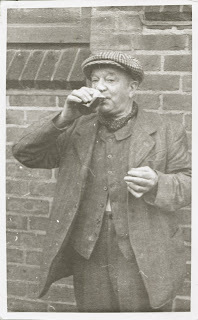 At that time he was employed on very light work by Mr Cox, a hat manufacturer. He appealed to the Local Tribunal on the grounds of domestic hardship and physical disability; at this time he had been in bed for three weeks with bronchial asthma, but a doctor’s medical certificate was ignored his claim was dismissed. 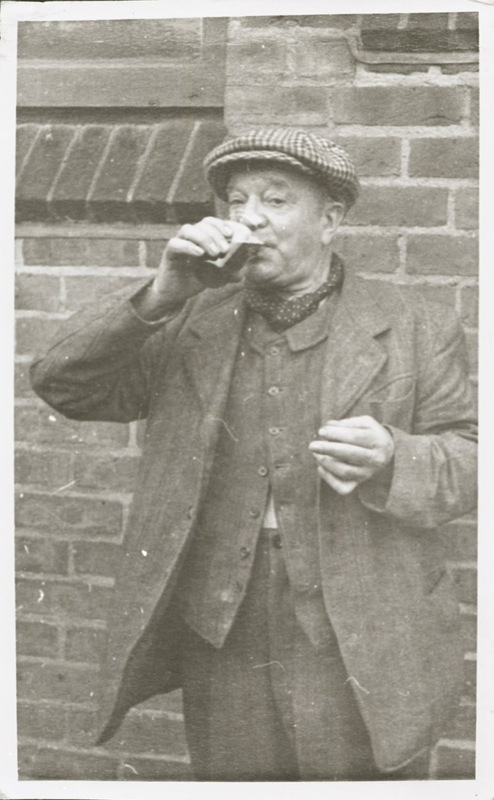 He joined the canteen department in October, hoping to avoid strenuous work, and was sent to France where his main duties were washing up and attending fires. He frequently wrote letters home telling how ill he felt. Last Thursday week Private Wright wrote that he had been vaccinated, and had been so ill he had been sent to hospital as he “could not keep up any longer. I have got it stiff this time, but hope to be out at duty shortly.” On the following Saturday morning his mother received a hospital card informing her that her son had been admitted to hospital at Bury St Edmunds. On the Monday she received a letter from the nurses telling her he was rather ill and that she could visit him. That evening a house surgeon at the hospital telephoned saying it was clear her son had been a lifelong sufferer and that “it was a downright shame that he had ever been passed for service. He will be in this institution for some time, and then get immediate discharge from the Army.” He felt that there was no immediate danger and that Private Wright was improving, but he suffered a relapse and died at eleven o’clock the same night. The loss of her son is the third tragedy to afflict Mrs Wright within the space of two years, following the deaths of both her husband and her eldest daughter. She also has a 31 year old daughter who has been a helpless invalid since infancy. She has expressed the hope that the Tribunal will do their best to protect other sons from blunders by military medical men. A number of recent cases have been reported in which it is clear that some scandalous decisions have been made by Medical Boards, although it is believed that Bedford has seen improvements. ‘Those who have not visited the Army in the field can scarcely realise what books have meant during two years of war to men in the trenches, in billets and in hospitals. So I hope those at home will buy books very freely…and having read and enjoyed them, as freely pass them on to the “Camps’ Library” for circulation amongst the troops'. Leaflets have been issued pointing out that books and magazines can be handed over the counter to any Post Office, unwrapped and unaddressed, and there is no postage to pay. Most of the material is sent to the Camps’ Library, the organisation recognised by the War Office for the distribution of literature. So far, the Camps’ Library has dealt with over 8,500,000 publications and requires 75,000 a week to meet the demands of the various theatres of war. It is hoped that existing supporters of the scheme will induce others to participate and make the donation of books and magazines a ‘war habit’. 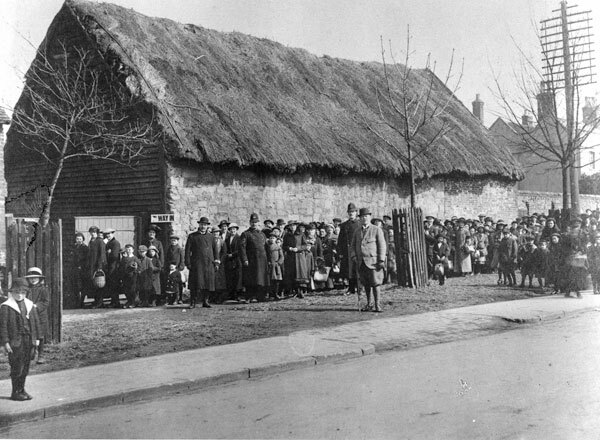 Monday 19th February 1917: Poor crops in many parts of the country have led to a serious shortage of potatoes. The Board of Agriculture has asked consumers to economise in their use, both by eating less and by considering their cooking methods. Much of a potato is made up of water, leaving only about one-quarter which is of direct value as food; the most valuable part being the part next to the skin. The most common method of cooking potatoes is to peel them, then put them into cold water and boil them. This wasteful approach can lead to the loss of as much as one-fifth of the whole tuber, with the peelings containing a larger percentage of nutritious solids than the rest of the potato. Boiling then dissolves out soluble ingredients and breaks down the surface into the water, which is thrown away. Experiments have shown that around 15.8% of the protein, 18.8% of the minerals, and about 3% of the carbohydrates are lost in cooking a potato this way. If they are plunged into boiling water immediately after paring on 8.2% of protein, 18% of minerals, and a small amount of starch is lost. When potatoes are boiled in their jackets only 1% of protein, just over 3% of minerals, and almost no starch is lost. To reduce this waste people are advised to either boil or steam potatoes in their jackets, after making a cut in each end to allow the escape of steam. When baking potatoes they should be pricked or cut and then baked slowly. If potatoes must be peeled, then they should be steamed or cooked in the smallest possible amount of boiling water, which should then be reused in soups. Adding salt will also help to reduce the loss of nutrients. An alternative is to pare the potatoes as thinly as possible, then slice them for use in vegetable or meat pies. Potatoes may also be replaced by turnips and swedes, which should be sliced and steamed rather than boiled. Wednesday 14th February 1917: The recent spell of cold weather has completely stopped traffic on the Grand Junction Canal at Linslade. Ice between four and seven inches thick has prevented passage for boats since the last week of January. A dozen boats carrying sand for munitions and agricultural implements are frozen in near Linslade bridge. An ice boat drawn by eighteen horses has been at work breaking the ice between Grovebury sand pits and Fenny Stratford, but the large lumps of floating ice were a danger to the cargo boats and made the work too hard for the horse. Even steamers, with their advantage of greater power than the horse drawn boats, have been unable to travel on the canal. The delays are proving expensive to the boatmen. They have to feed their horses, with fodder costing about £1 per week, and many have to pay sixteen shillings a week for boat hire. 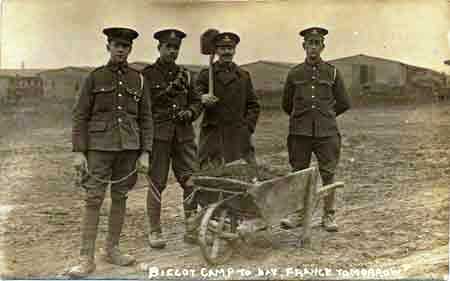 The icy weather has at least allowed for some sport, which has in turn contributed towards the war effort. 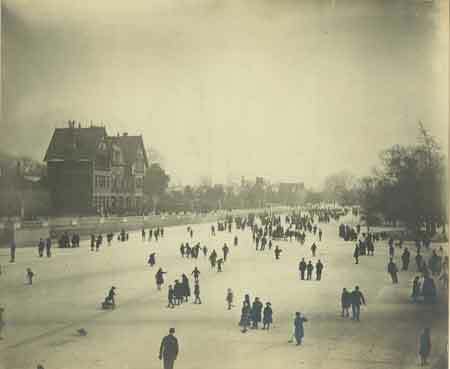 The Leighton Buzzard War Hospital Depot has received a total of £2 2s 9d raised from skating on Mr. George Garside’s sandpits. 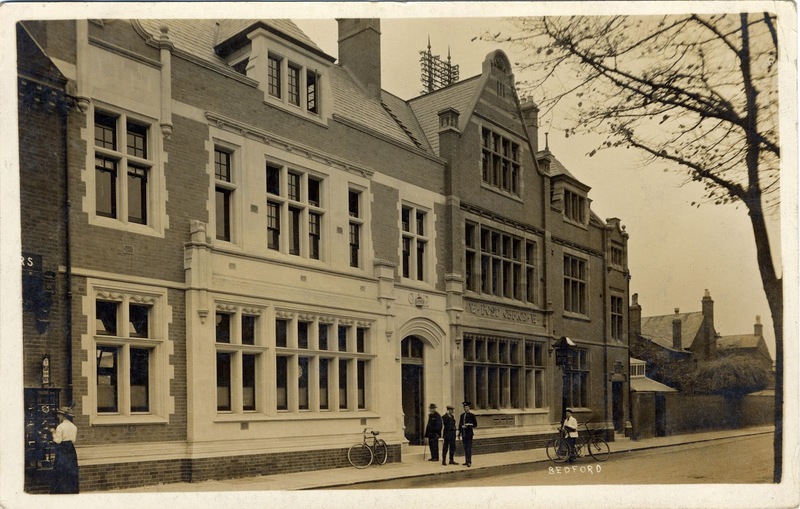 The activity was organised by Mr. Herbert Turner, the landlord of the Plume of Feathers public house in Lake Street. Skating has its dangers, and two small boys had to be rescued from Rushmere pond last week when thin ice gave way underneath them. Fortunately two discharged soldiers, Mr. A. Lansbury and Mr. P. Neal, were skating nearby and managed to rescue them from the water. Mr. Lansbury lay flat on the ice while Mr. Neal held his feet, and managed to grab the boys’ hands and pull them to safety. 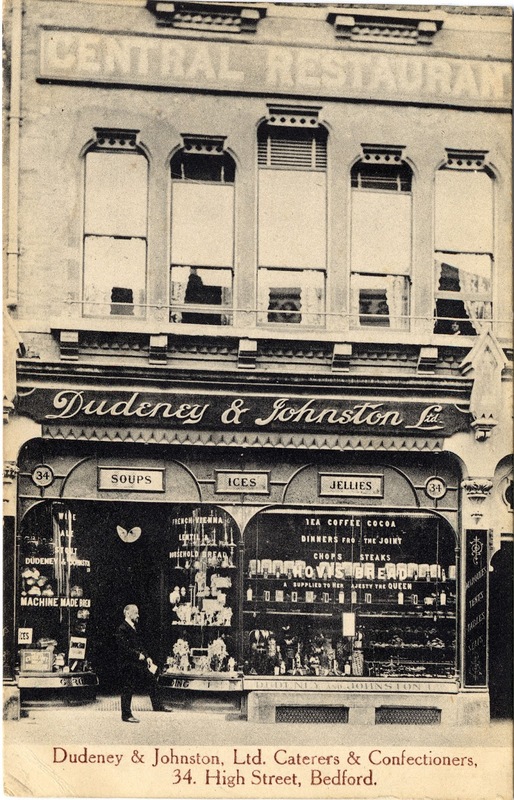 Tuesday 13th February 1917: At the Bedford Borough Sessions, four Bedford boys were charged with breaking into a warehouse at the rear of 33 High Street and stealing 3s worth of cocoa, jellies, sugar, matches and candles belonging to Dudeney and Johnstone Ltd (confectioners, wine house and caterers). A gentleman who worked for Messrs. Higgins saw the boys leaving the warehouse. He stopped the boys, took the goods from them and reported to the police station. Both mothers were summoned, who confirmed that their husbands were soldiers serving at the front. One mother testified that the eldest boy, aged 14, worked to help the family income and handed over 7s of his 10s pay every week. It was agreed that birching was a suitable form of punishment for the boys, who were inclined to get into mischief when together. The chairman of the sessions reminded the mothers of their additional responsibility in their husbands’ absence. He told the boys that they would not get off so ‘lightly’ in the future and that even if the policemen did not always see their wrongdoing, they were being watched by a policeman ‘up above’. “Arriving at Mombasa last June, I was quickly sent up to Neutnoshi, which as at that time the Headquarters of the R.E.’s Signals. 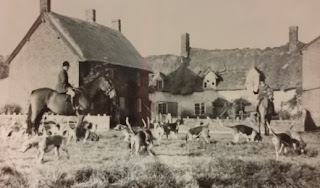 A couple of days in a rest camp here which, being situated on the hillside close to a splendid water supply, together with liberal rations, and an occasional fine view of the snow clad top of Kilimanjaro, the highest point in Africa, led me to imagine that I was in for a good time. I was able to get a place on a draft for General Van De Venter’s division, then at Kondoa Irangi. I had no idea where this place was, and at that time cared still less, but was not long in discovering I had a motor trip of nearly 300 miles in front of me. This may not appear any great hardship, but it proved no ‘joy ride’. The vehicles were transport lorries, and we were carried as extra weight rather than as passengers. The road was simply a rough track through the bush or desert. The passengers on these cars were frequently obliged to dismount and help push through sand drifts, whilst at other times they were enveloped in a cloud of dust which caused difficulty in breathing. One portion of the track lay through a long fly belt. No animal could pass this way, and owing to their absence the tetse flies took full revenge on the unfortunate travellers. During this trip I went without a wash for three days, water being so scarce. 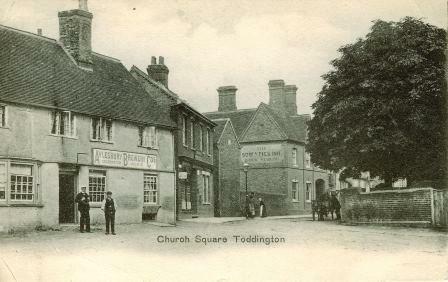 Private Horley was the son of William Edward Alexander Horley who keeps a grocer’s business at Toddington. Before the war he helped his father in his trade and was an active worker in the affairs of the parish church. He trained at Halton Park and left for the Front not long before Christmas. 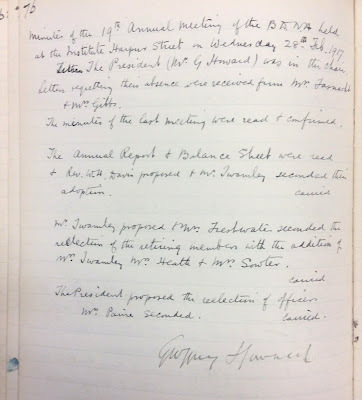 Sunday 4th February 1917: A meeting is held at the Salvation Army headquarters to consider the moral and economic arguments for prohibition during the war. The economic case focused on conserving the nation’s resources. The Rev W Haughton declared that drink was using up the nation’s food – since the war began, it had used up 3,000,000 tons of food and was using more sugar than the Army had access to. Millions of acres of land were being devoted to growing grain and barley for drink production, whilst the nation was being urged to use all vacant land to grow vegetables. Valuable grain was being destroyed for the production of drink. Much was also being preached on thriftiness so that spare cash could be donated to the war effort, yet an average of £3,500,000 per week was being spent in public houses. If only more people could follow in the footsteps of the King, Lloyd George and Kitchener, who had banned drink from their tables for the duration of the war. 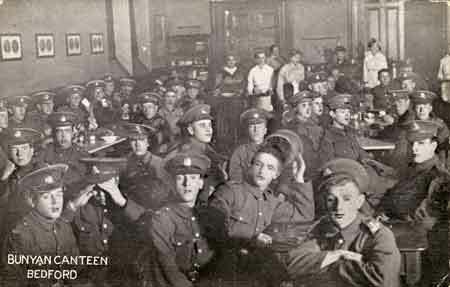 Others highlighted the moral and spiritual arguments, including soldiers being affected by drink when off duty and men being prevented from rehabilitation into society by the effects of drink. 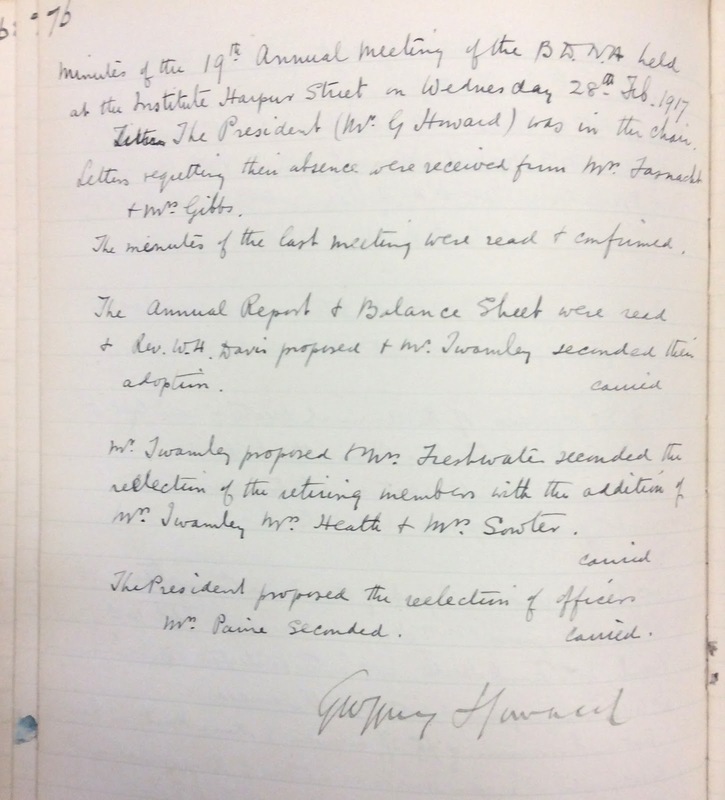 A resolution was carried asking the government to prohibit the sale of alcohol during the rest of the war, until 6 months following the declaration of peace. 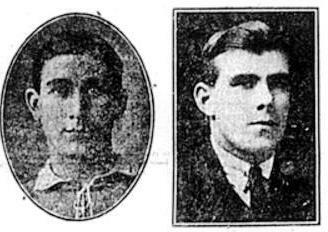 Arthur Harold Wileman was killed on 28th April 1918 and is commemorated on the Tyne Cot memorial. He was awarded the Military Medal in January 1918.